Years ago, long before I had the children, I was lucky enough to enjoy many holidays in Mallorca. One of the Spanish in the Mediterranean, known for it’s exotic beaches, historical towns, and bustling night life, I’ve had some of my favourite holidays on the island, soaking up the sun by day and enjoying a cocktail…or six….by night. 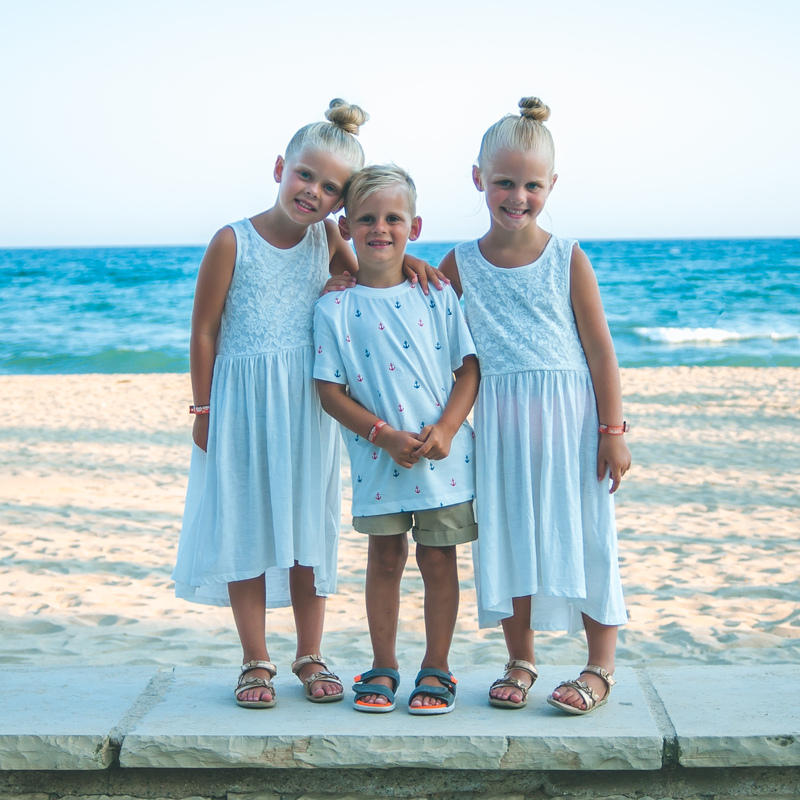 When the kids came along our foreign holidays were put on the back burner and yet now, having survived our first foreign holiday last year, Mallorca is finally back within our reach. And I can’t wait to introduce the children to those blue skies and sandy beaches. 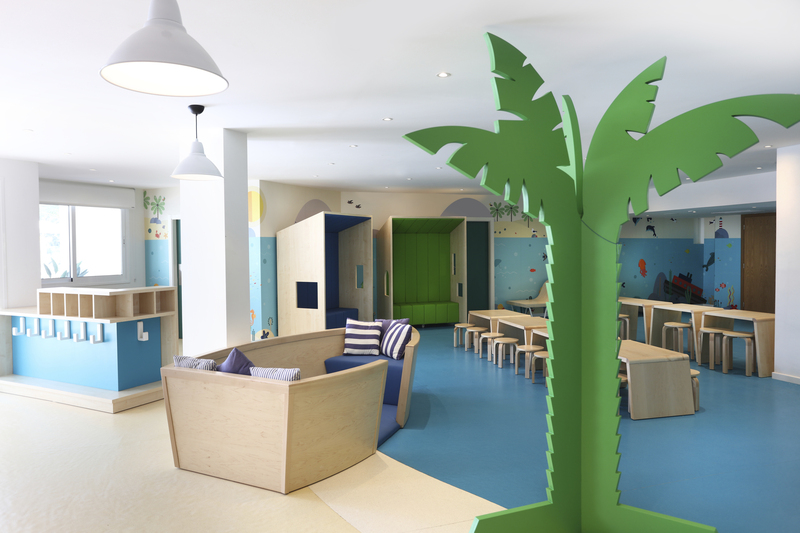 The most important thing for us when choosing a holiday is just how child-friendly the hotel is going to be. Let’s face it, there is nothing worse than staying in a hotel that doesn’t cater for children and spending the entire holiday dealing with “I’m bored!”, “I’m hungry!” or even worse, angry glares from other guests when your kids are let loose in the pool. So with that in mind, we’ve been checking out Iberostar hotels and resorts, and specifically Iberostar Playa de Muro Hotel. Iberostar Playa de Muro Hotel is the most beautiful hotel in one of Mallorca’s most iconic hideaways, and somewhere I adore, Playa de Muro. 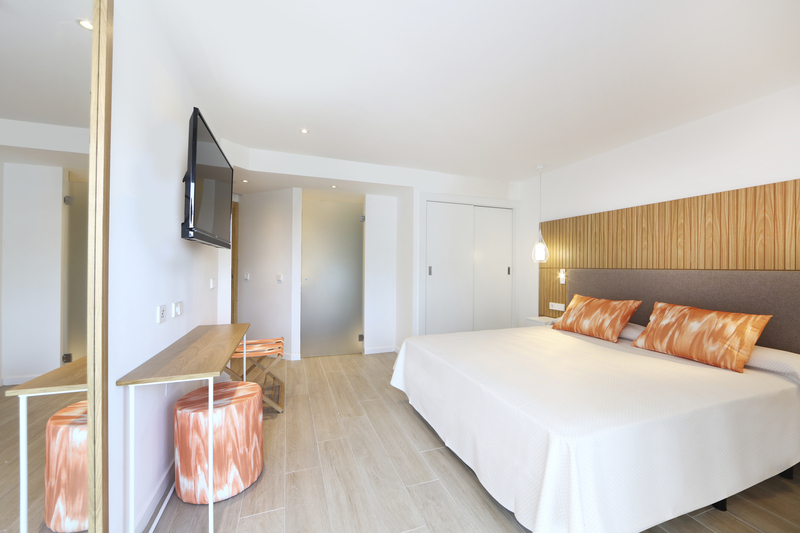 Just 55km from Palma Airport, it’s the perfect getaway for families and, with recent renovations, it’s a pretty impressive welcome! 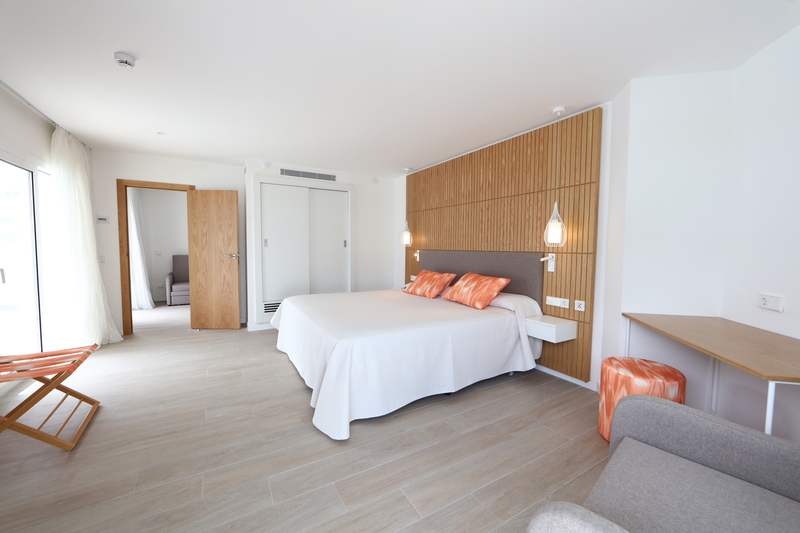 With 446 suites, family rooms and doubles, all with a terrace to enjoy the sunshine, you can even choose the specific room you want to stay in so you know exactly what to expect on arrival. We often struggle as a larger family and I love that the family rooms sleep 5, something we have struggled to find in previous hotels. I love how spacious the family rooms are as well as being light and airy, modern, and perfectly thought out. For families, you can take full advantage of Star Camp – an activity programme which guarantees a fun filled holiday for children as they learn and make new friends. Star Camp is split into three groups – Monkey (4 to 7 years), Dolphin (8 to 12 years) and eagle (13 – 17 years). Unlike other activity programmes we have come across, Star Camp has been designed to give children the freedom to explore their talents and abilities in the most imaginative of ways. 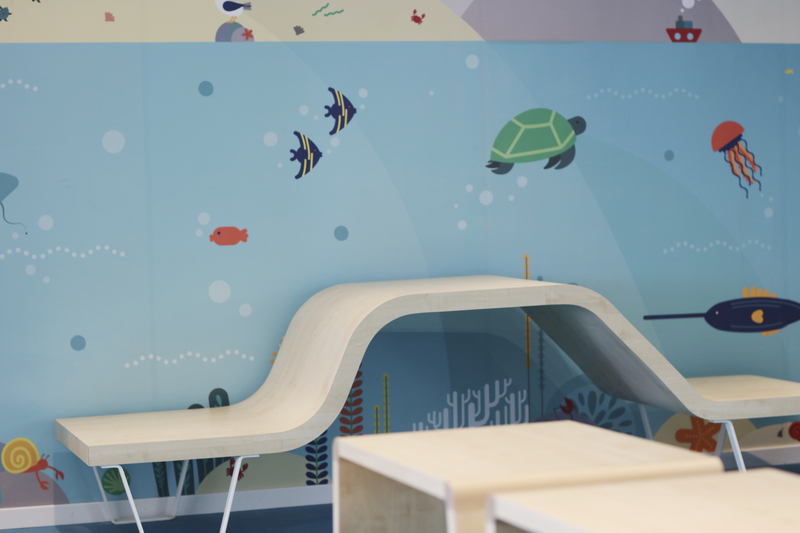 They can spend a few hours on a short trip, do crafts, develop their creative side and learn alongside new friends in spaces that are meticulously equipped to allow their imaginations to take hold. For us, Star Camp couldn’t be any more perfect. 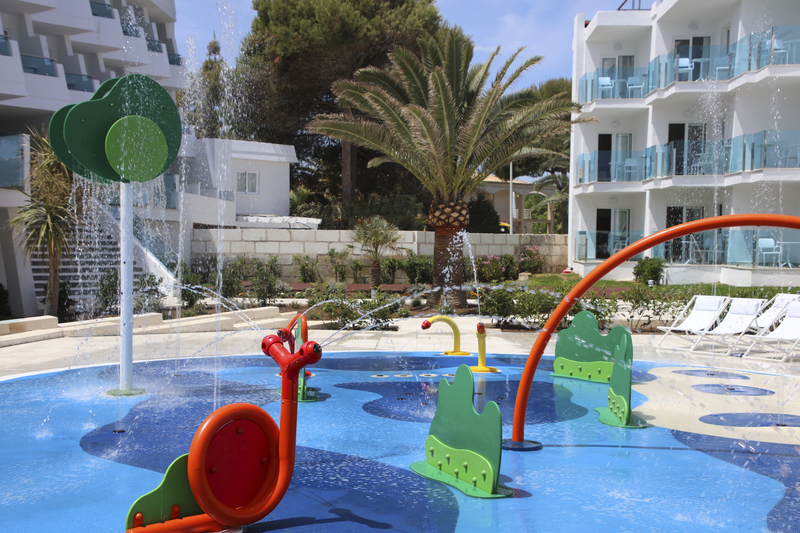 With the children at 4, 5, 6 and 14 it can be incredibly difficult to find a holiday resort that caters for the little ones as well as Lewis, and more often than not Lewis is left to entertain himself as the little ones get stuck in. I think Lewis would love to meet other teens and hang out in multimedia areas with DJ tables, and I know Gaz and I would enjoy a couple of hours peace and quiet by the pool! 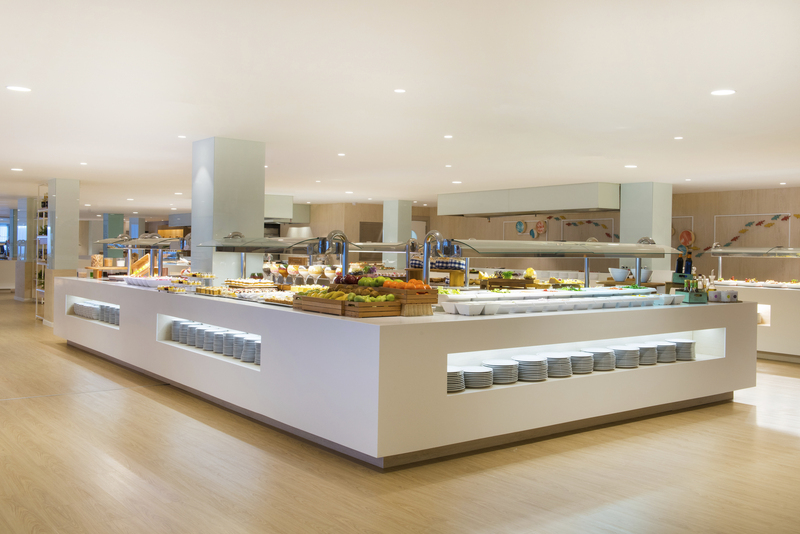 For those who prefer a buffet style dining you have the Tramuntana Restaurant where you can discover the skills displayed in show cooking sessions, themed dinners, and traditional Majorcan cuisine. 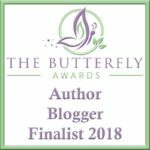 As a parent I love that there is even a corner of the buffet especially for little ones with nuggets and chips, meaning that even fussy eaters like mine can enjoy tucking in! For those wanting to dine with a view, you can eat at the Dunas Restaurant looking out to the sea. 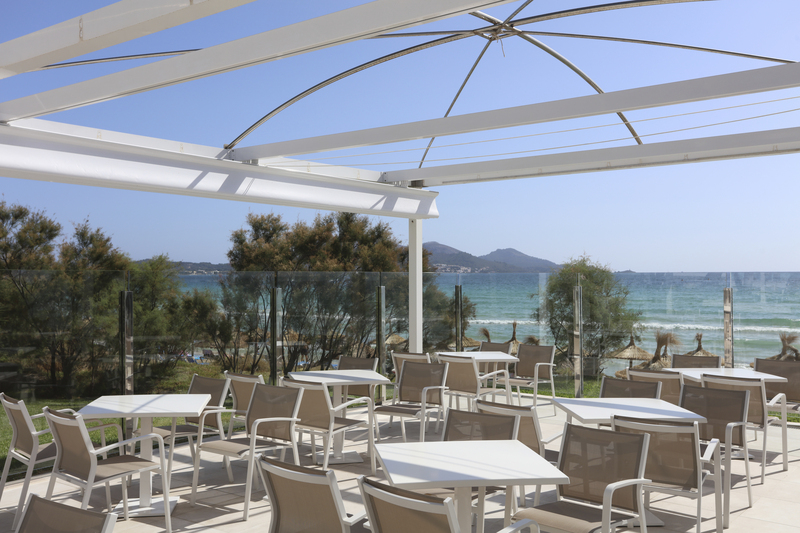 With a mix of Italian cuisine, fish, meat, salads and rice dishes, the restaurant boasts a relaxed atmosphere with chill out music, just what you need on a Summer holiday. And if you’re simply after a snack during the day, there’s a food truck on hand with burgers, sandwiches, hot dogs, and calamari, which any parent of young children will tell you, is a real must. These kids are always hungry!! Plus whilst the kids are fed and entertained at Star Camp, us grown ups can enjoy a relaxing drink in one of three bars at the hotel. Bonus! One of my favourite things about Iberostar, and testament to their brand, is their focus on being environmentally-friendly and conserving our planet for generations to come. 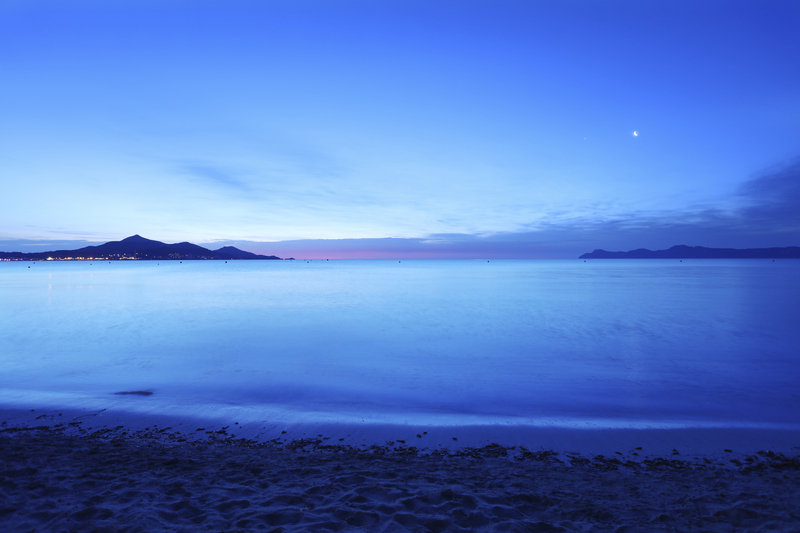 With more than 80% of Iberostar hotels on the beachfront, they have a strong focus on the conservation of seas and oceans to contribute to the evolution of an increasingly sustainable tourist – a movement which has been named Wave of Change. 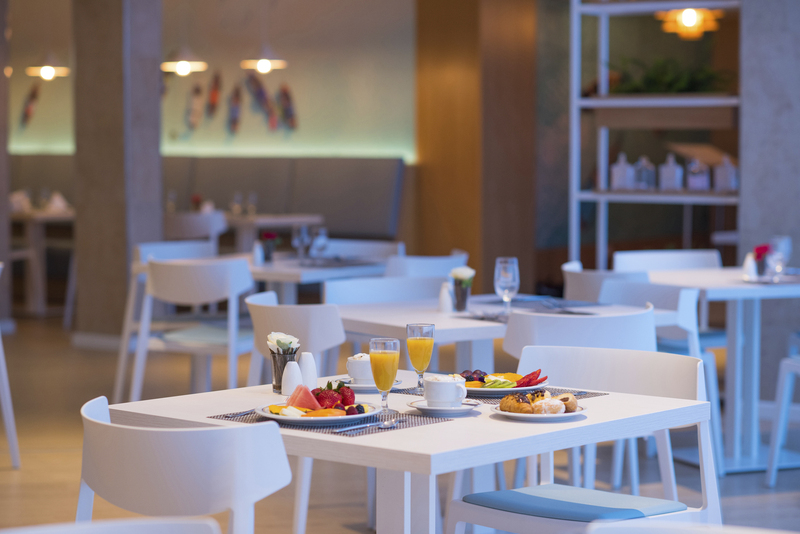 With a spa, sauna, whirlpool baths, and evening entertainment, not to mention sports classes, bike tours, and water activities just a stones throw away, Iberostar Playa de Muro has everything we could want from a family hotel and more. 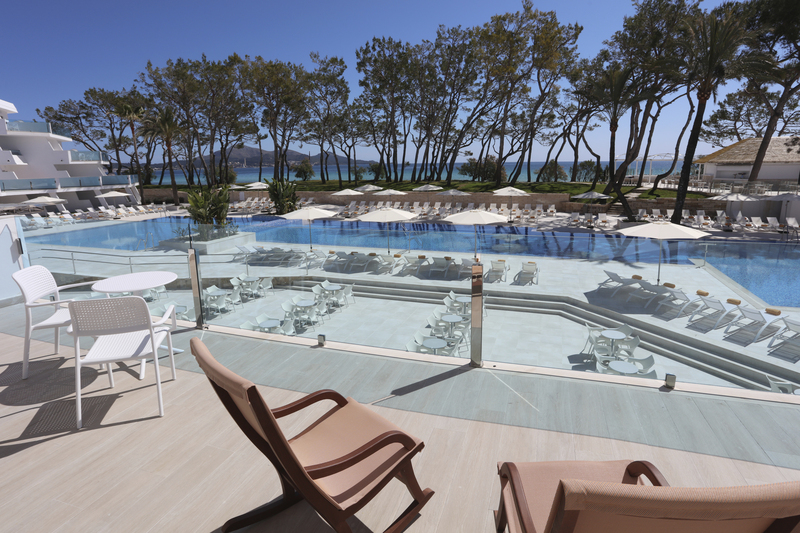 And for those looking for an alternative, just 10km down the coast you will find Iberostar Alcudia Park Family Hotel which looks equally amazing. 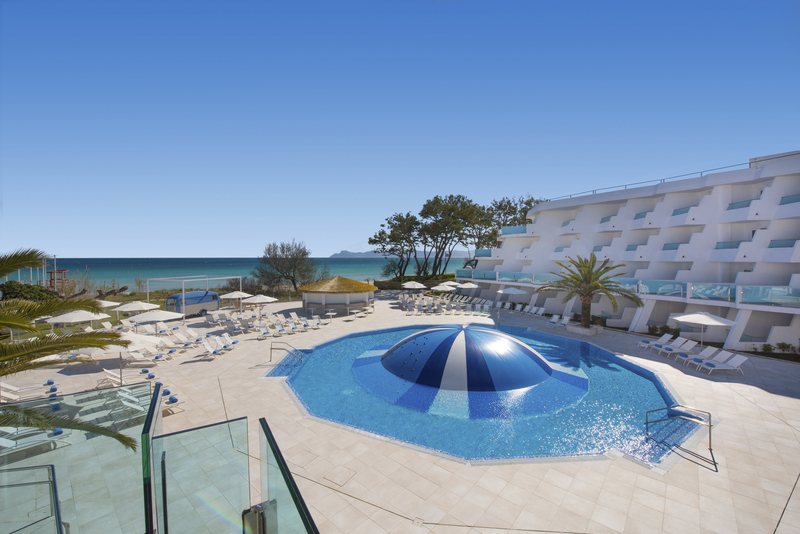 At the Alcudia Park hotel you can also book one of the Star Prestige rooms. These luxurious rooms offer exclusive access to extra services such as a rooftop sun deck, a drink at the open bar, or relax in the whirlpool bath. In our days pre-kids we would definitely have been jumping at the chance to try the Star Prestige service! 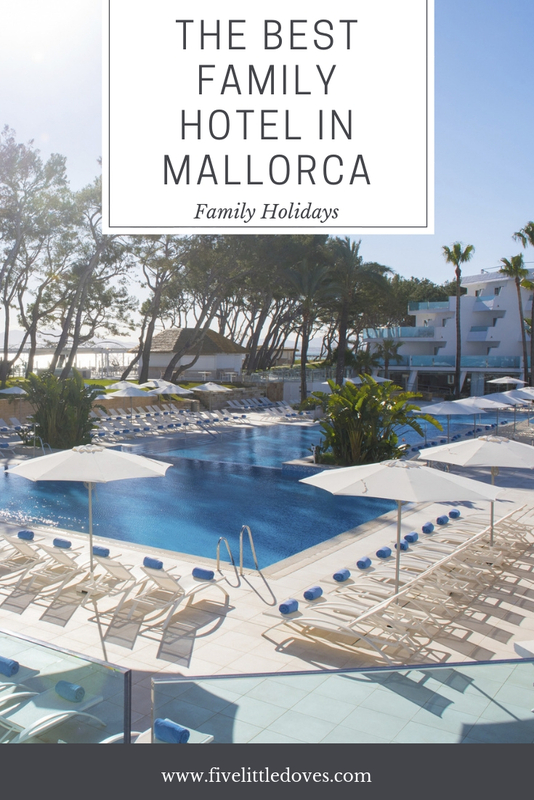 I am so impressed by Iberostar Hotels and although I am tempted by all of their locations worldwide, I do think Mallorca is at the top of our list for our Summer travels. It’s been far too long since I’ve visited and I am so looking forward to showing the children all of my favourite places and creating memories of our own. What a gorgeous hotel! Love how accommodating they were for your family and that you seemed to have a fantastic trip. 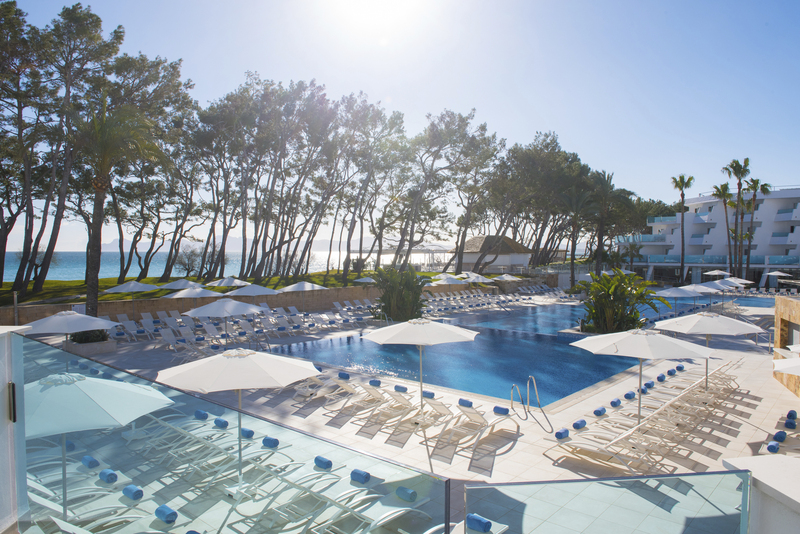 If I ever go to Mallorca, I will have to have a look into Iberostar. What a gorgeous hotel. I love Mallorca, would love to go back one day. Sounds like a perfect place for young families. Hopefully this is the start of many more family holiday to come. This looks like a great place to visit! Beautiful! That certainly seems like a very impressive hotel! Absolutely beautiful and it sounds like you had a wonderful time. sounds like a perfect place for families to visit. hope you had a wonderful time. Darn lady, the place looks beautiful. I love the pictures of your kids. It is great to see that you guys enjoyed. This looks like such a great escape. I’d love to getaway for a bit on a family vacation. What a fun place to go relax and have some family time. Oh my goodness how gorgeous is that hotel!? I love that the rooms are roomy and it looks like a great family hotel. Stunning location too. I want to go there! Star Camp looks like a lot of fun with the kids for sure. And the hotel room just looks so nice. The whole trip must have been a ton of fun. I used to live on Ibiza and travelled around Spain and Iberostar always had the reputation as a perfect family hotel but these new hotels also look so cool and design led. Love them. gosh this sounds amazing. definitely in need of a holiday to somewhere warmer right now, and a sauna and spa would make it even better! I need to plan our holidays for the year. This post has inspired me to get on with it. Wow this place looks amazing. I’d love to get away somewhere like like. What gorgeous photos. Oh my goodness this looks so gorgeous I am in some serious need of some sun right now and this looks like just the ticket! Oh wow! It looks like a really beautiful place. THAT BED!! The pool looks stunning too, especially alongside those views! I’m jealous. I’m very jealous! This looks like an amazing place to bring your family! Great photos, thanks for sharing! Going to have to add visiting Mallorca to my bucket list! I adore how clean and angular everything looks. It’s such a serene place, and the views are so lovely!